Your First Visit to Gluck Orthodontics in Green Hills Nashville TN. We look forward to meeting you on your first visit to our office! This will be a time for you to tour our office, get acquainted with Dr. Gluck and our friendly staff, and determine your orthodontic needs. We will begin to get to know each other when you call us for your initial exam. After listening to your specific concerns, we will schedule a time that will be convenient for you and provide you with the personal attention needed to diagnose, recommend, and discuss your potential treatment options. You may be mailed some information prior to your visit including a health form which you may bring with you to your visit. An average consultation appointment will take approximately 45 minutes to an hour. We want to make sure you are able to make a well-informed decision. 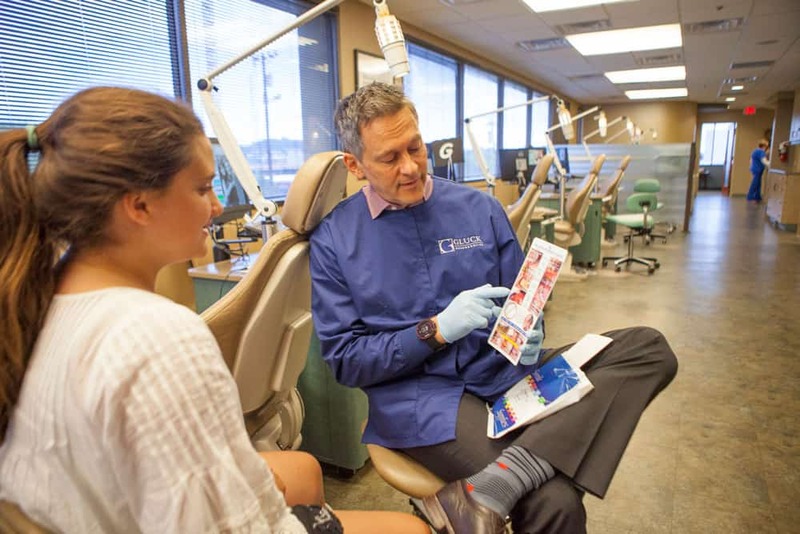 If you are an orthodontic candidate and the time is right for your treatment to begin, we will complete your visit by scheduling your next appointment to get you started! Call us on 615.269.5903 or contact us here to schedule your first consultation today.